I like to take Wednesdays off from blogging. But while on Twitter I learned that today is Shirley Jackson's birthday. My obsession with Shirl is well documented. I had to observe this day. Hmm. 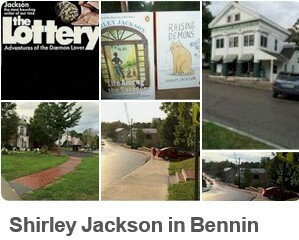 Sounds to me like an opportunity to send readers to my Shirley Jackson in Bennington Pinterest Board. Happy 100th Birthday, Shirley Jackson! at Literary Hub. How many people will be tweeting about us on our hundredth birthdays?